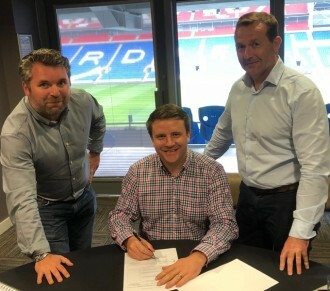 Following on from the announcement in our January Newsletter of Ben Smith’s appointment to the RPA Board of Directors, Ben along with fellow directors Nick Soady and Tudor Butler, recently paid a visit to the RPA Corporate Box at Cardiff City F.C. for a Director’s strategy and business planning “away-day”, where the formal signing of the legal documentation for Ben’s appointment took place. It was a great day all round and another significant milestone in RPA’s strategic growth plan.